When Should I Use Salt Water Rinse? How Does Salt Water Rinse Work? View on Amazon JASON Total Protection Sea Salt Mouth Rinse, Cool Mint, 16 oz. How Do I Make Salt Water Mouthwash? Can’t I Rinse With Ocean Water? Would Salt Water Rinse Help My Gingivitis? What Other Mouth Rinses Can I Use? There are several situations in which a salt water rinse can be beneficial. Following soft tissue surgery to the gums, tongue, and mouth. If you burn the mouth with temperature or acids. It is generally accepted amongst dental surgeons and doctors that salt water rinse has a positive effect beyond just killing bacteria. Many believe that it promotes faster healing. This is however difficult to prove. 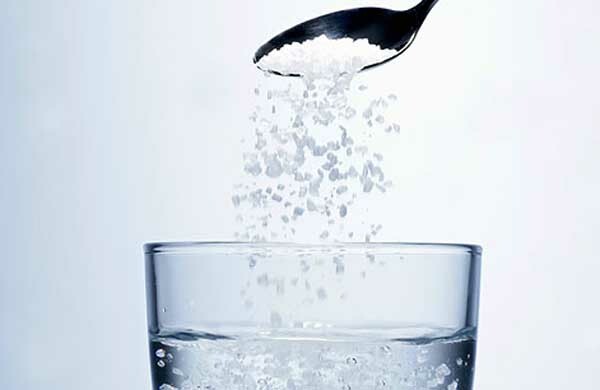 When making salt water to gargle, many different types of salt can be used. The quickest and easiest option is to just use fine table salt. This will dissolve well, and typically is quite pure. Iodised or non-iodised salt are both fine to use. 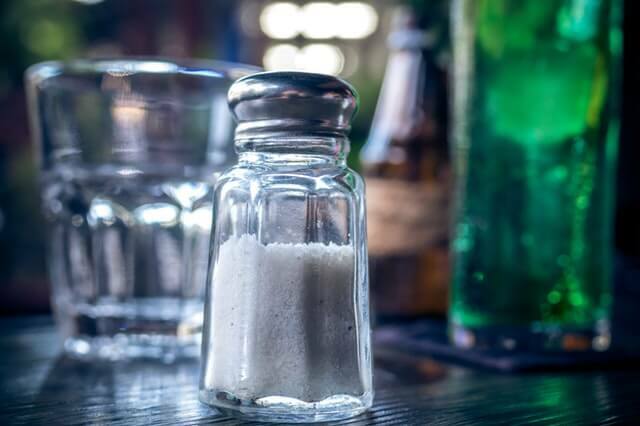 Rock salt, Himalayan pink salt, kosher salt, and other types of salt are also fine to be used – however it may be difficult to get consistent dissolving. This will create a mix roughly 35000ppm similar to sterile saline. Step 2 Gently rinse as discussed with your dentist or doctor! You don’t want to make it too salty – nothing is gained by making it saltier. If it tastes like the ocean or makes you feel sick – check your recipe! The beauty of salt water mouthwash is that it is quite simple to make and helps promote healing while also being relatively sterile. Ocean water on the other hand has been found to have unique bacteria that can actually be quite dangerous. They can slow down wound healing and cause injury. Do not take the risk! As far as the human body is concerned, sea water is dirty. Keep it away from open wounds in the mouth. It is not worth deliberately exposing yourself to it. If you are rinsing with salt water for any of the above reasons, make sure you have had a chat with a dentist or general doctor and are receiving ongoing advice! When you have inflamed gums caused by bacterial buildup up – it is known as gingivitis. If you have bleeding or sore gums causes by gingivitis it is extremely important to see your dentist or hygienist. They can diagnose the cause and ensure it is nothing more serious. Only mechanical removed of the build up by a dental professional will resolve the problem in the long term. However many people DO find excellent relief from gum discomfort or inflammation by using a simple salt water rinse. Follow the recipe above and rinse 2-3 times per day until you see your dentist. If you don’t like the taste of salt water, a gentle mouth rinse can help your gums heal. These remade mouth rinses are available from all major companies! You can find plenty of quality salt water rinse alternatives on Amazon. Haha love the instructions on how to make salt water rinse. I’d say that it is unnecessary to have a recipe – but I found myself here by googling how to make salt water rinse! Is it okay to rinse with salt water everyday? Sure in some circumstances people could use something similar to Listerine, but for specific reasons or due to preference many people choose to salt water rinse. If you are taking moth rinse for a specific reason it might be a good idea to check with your Dentist what will work for you. Hi Tahlia, I’m glad you’ve found something that works well for you. I don’t routinely recommend a daily salt water rinse, so it’s interesting to hear that it is helping you.